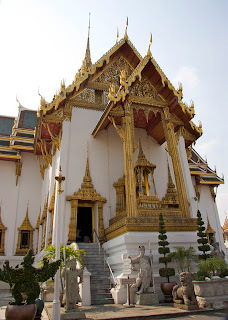 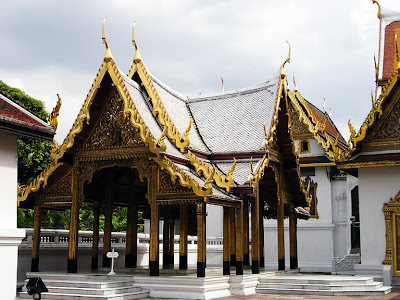 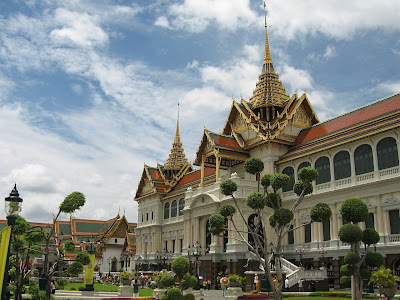 Construction of the palace began on 6 May 1782, at the order of King Buddha Yodfa Chulaloke (Rama I), the founder of the Chakri Dynasty, when he moved the capital city from Thonburi to Bangkok. 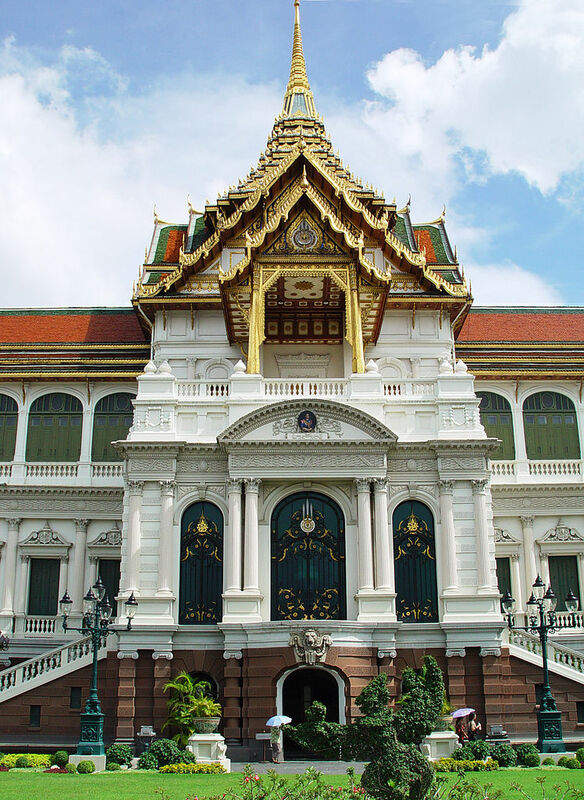 Throughout successive reigns, many new buildings and structures were added, especially during the reign of King Chulalongkorn (Rama V). By 1925 the king, the Royal Family and the government were no longer permanently settled at the palace, and had moved to other residences. 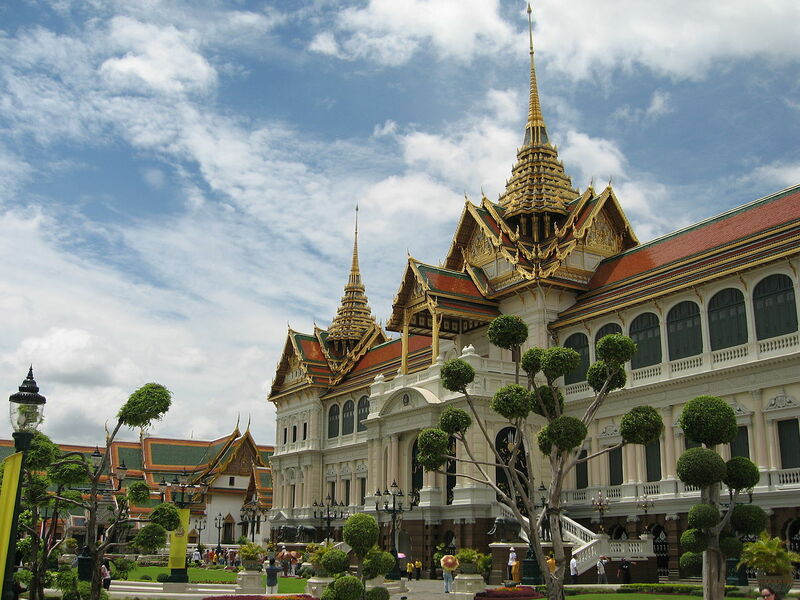 After the abolition of absolute monarchy in 1932 all government agencies completely moved out of the palace. Built in 1782 - and for 150 years the home of the Thai King, the Royal court and the administrative seat of government - the Grand Palace of Bangkok is a grand old dame indeed, that continues to have visitors in awe with its beautiful architecture and intricate detail, all of which is a proud salute to the creativity and craftsmanship of Thai people. 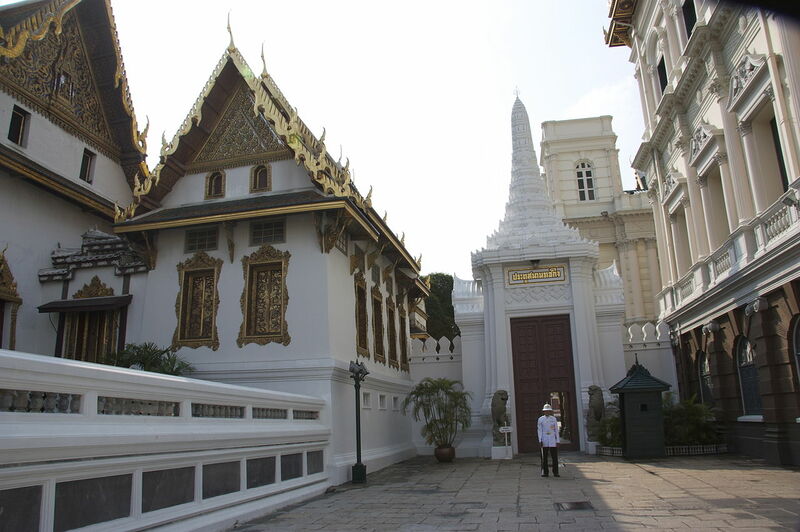 Within its walls were also the Thai war ministry, state departments, and even the mint. 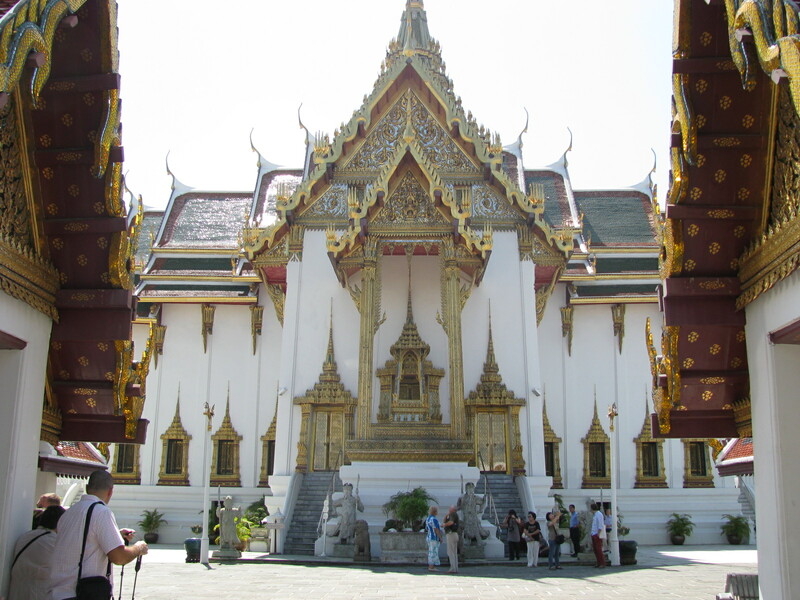 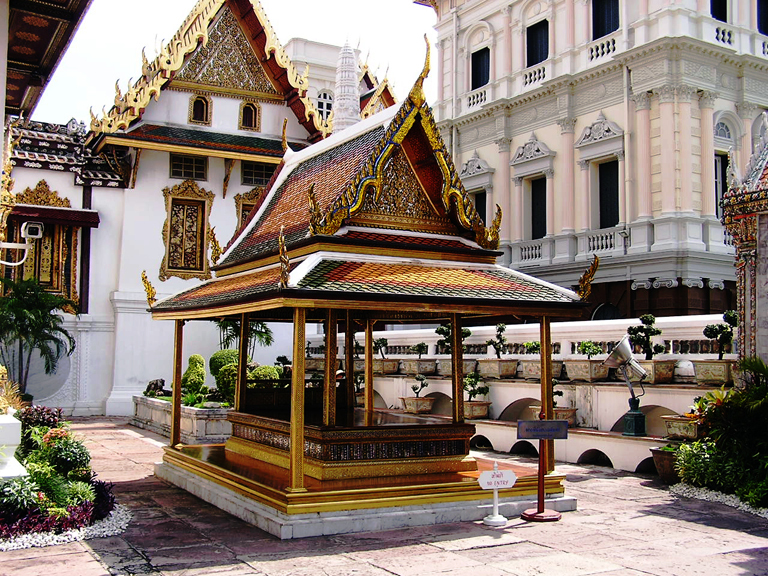 Today, the complex remains the spiritual heart of the Thai Kingdom. 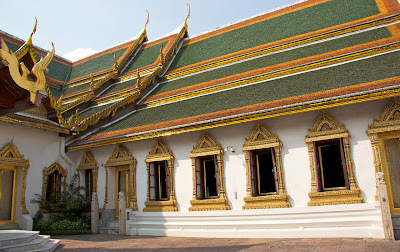 In shape, the palace complex is roughly rectangular and has a combined area of 218,400 square metres (2,351,000 sq ft), surrounded by four walls. 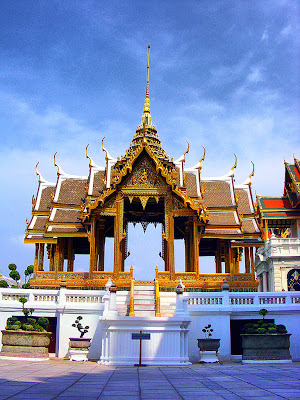 It is situated on the banks of the Chao Phraya River at the heart of the Rattanakosin Island, today in the Phra Nakhon District. 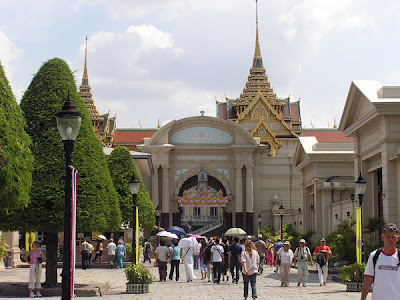 The Grand Palace is bordered by Sanam Luang and Na Phra Lan Road to the north, Maharaj Road to the west, Sanamchai Road to the east and Thai Wang Road to the south.